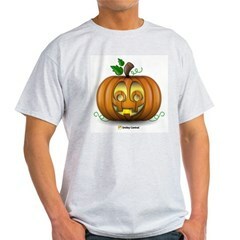 Scarecrow t-shirts and autumn apparel and Halloween gifts. 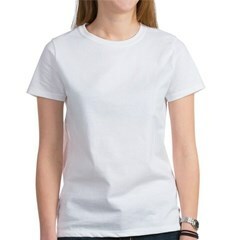 Perfect October fall season clothes and merchandise. A spooky jack-o-lantern scarecrow walks through fall leaves. 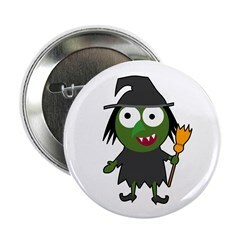 Great for autumn and especially October 31st! Our totally cute Birdorable Bald Eagle is dressed up like a witch for Halloween! 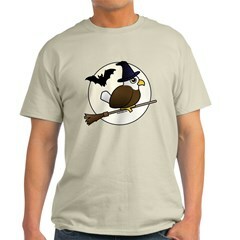 Complete with witch hat and flying broom, this design is perfect for Bald Eagle lovers on Halloween! A super cute design for birders and patriots too! 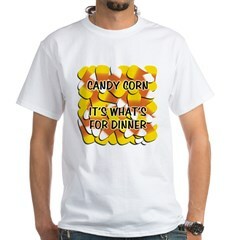 A funny Halloween t-shirt design! 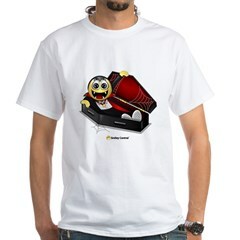 A vampire with a funny yellow smiley face is coming out of his coffin in this cute design for Halloween. 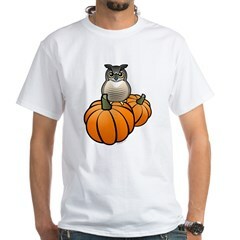 Our totally cute Birdorable Great Horned Owl sits on two cute plump pumpkins. A great design for Halloween, fall harvest or even Thanksgiving. Great gifts here for Owl fans in the autumn! A cute little cartoon witch illustration for Halloween. 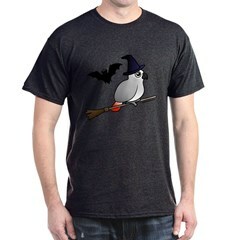 Share the spirit of the season on October 31st with this original witch t-shirt design. Our totally cute Birdorable African Grey Parrot is dressed up like a witch for Halloween! Cute gifts for African Grey Parrot lovers and cute bird fans! 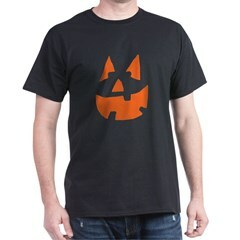 This original design is a stylish graphic of a pumpkin jack-o-lantern in the style of a smiley-face. 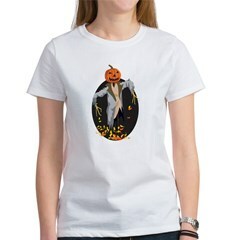 A fun, bold design for Halloween that looks great on t-shirts, apparel and other gift items!